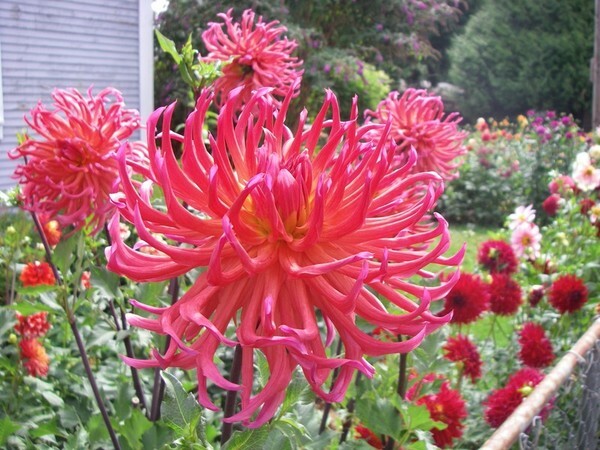 Like most of Hollyhill's dahlias, this one is a show-stopper. Fiery coral blooms with incurved petals sit atop dark stems. One of the favorites at Old House Dahlias this year.